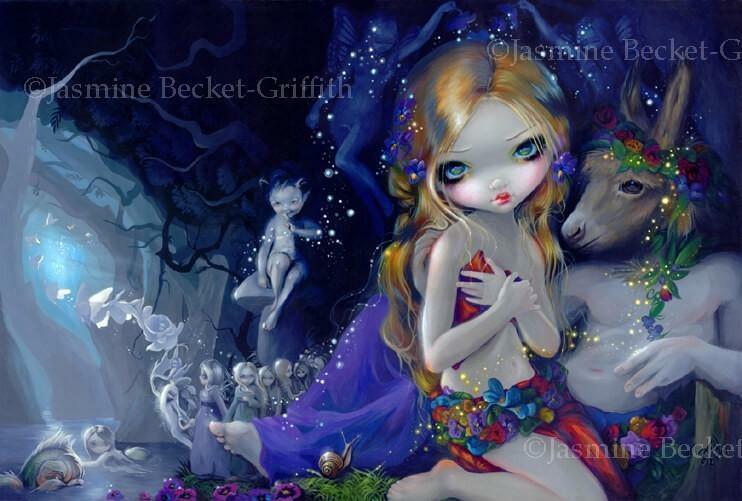 This piece debuted as part of my “Magical Thinking” show at the Corey Helford Gallery in LA. 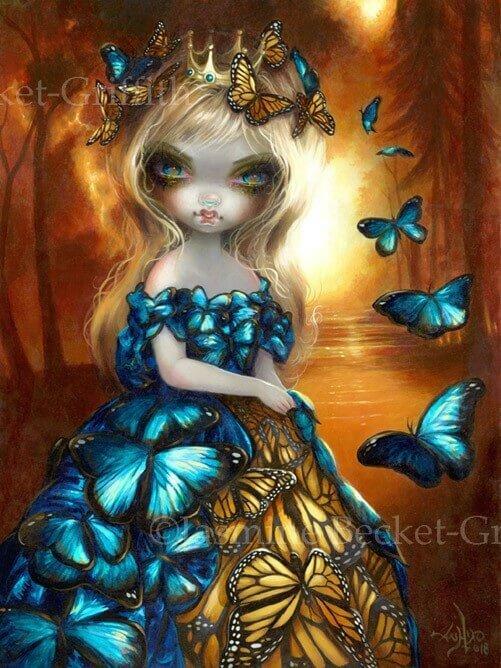 A bit of a double meaning, she is a monarch (faerie queen) and her dress is made up of monarch butterflies (and my beloved blue morpho butterflies as well!). 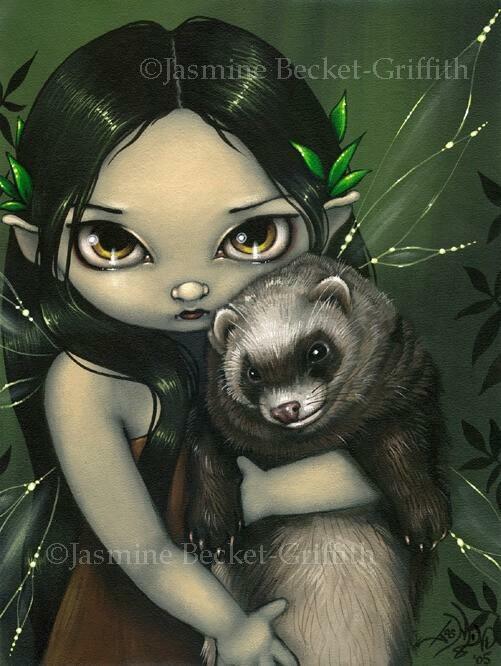 This is a painting I painted live up at my Twitch channel (I’m JasmineBecketGriffith up there) – the original acrylic painting itself sold at the gallery show but we have prints & canvases available. The Masterpiece Limited Edition Canvases (18″x 24″, hand embellished, signed & numbered out of 5 at $595 each) are now sold out! We do have the Open Edition Remarqued Canvases (12″x16″ with a signed certificate at $125 each) available. All canvas prints are made on canvas with Canon Lucia archival inks. They are wrapped on boards and stretched over a frame and shipped ready-to-hang. The canvas sides are printed in black, creating a natural self-framing effect, so you don’t have to purchase an additional frame if you don’t want to. The entire piece is also painted with a UV varnish and then heat set for maximum protection and longevity. They are truly beautiful pieces and it is often difficult to tell them apart from the originals. Both types are on the deeper/thicker gallery wrapped boards than our earlier canvases have been, very sturdy and solid, and match the profile of those that are sold at Pop Gallery, etc. If you have any questions about the canvas prints or the differences between the Masterpiece Limited Editions and the Open Editions, please contact us!